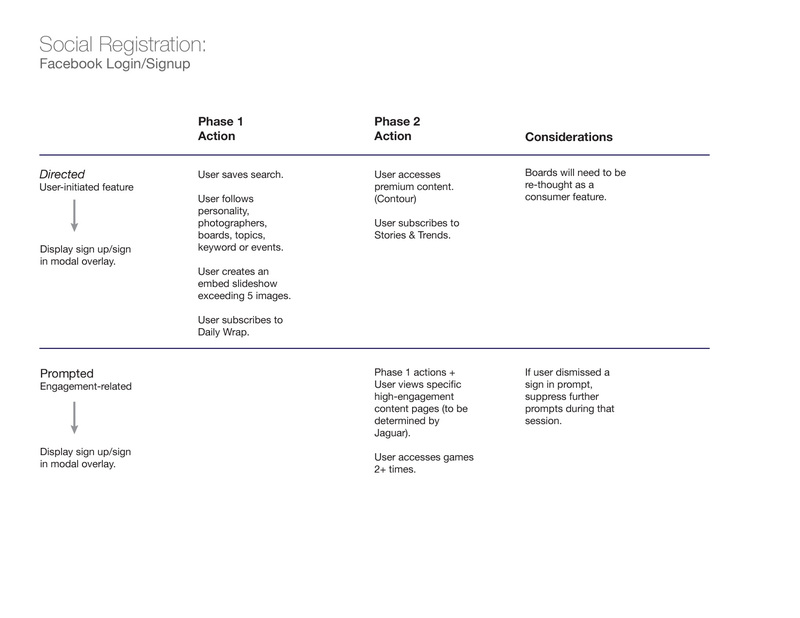 Getty Images wanted to make it simpler for users, especially consumers, to sign up for accounts. 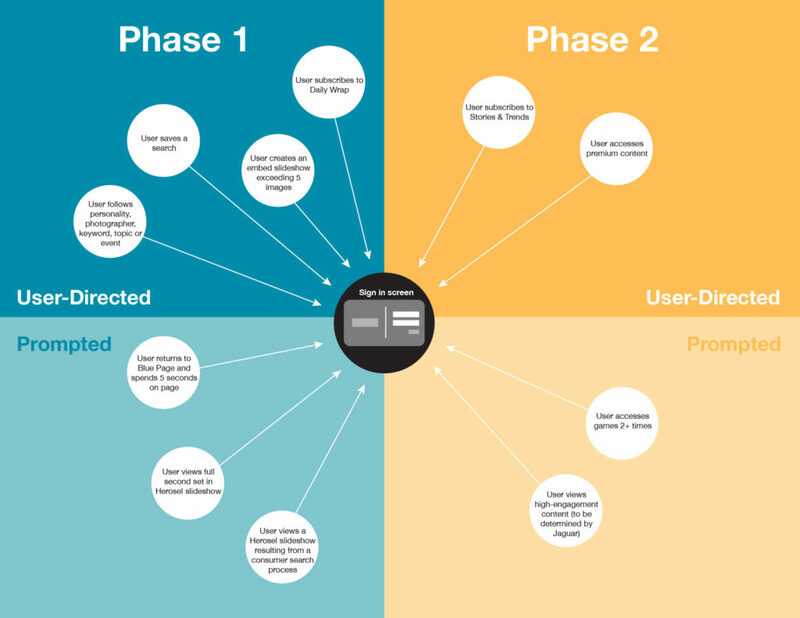 I created user flow diagrams to map out the possible scenarios for encouraging account creation, using a phase 1/phase 2 chart that divided the scenarios into user-directed and system-prompted. This allowed the team to make better decisions about how to minimize user fatigue and provide value to make users want to create accounts in the first place.